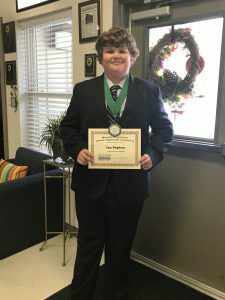 Congratulations to 7th grade Ian Peplow for earning 2nd Place in the State competition of the Soil and Water Conservation Speech Competition in Raleigh May 4th!! We are proud of Ian!! !